In 2009, I scoured the internet for red pants. Most choices were limited to black, grey, navy and beige. 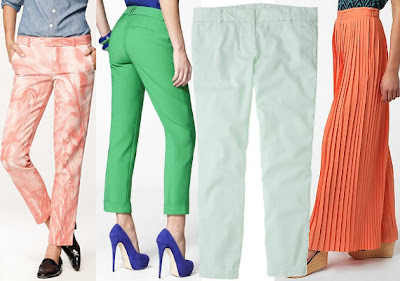 This spring, legs are bright and colorful. 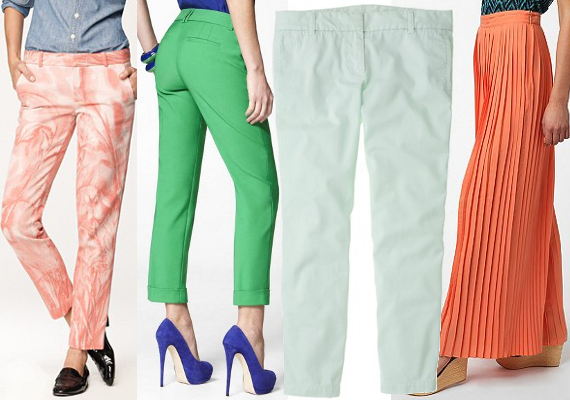 These pants are perfect for contrasting pastels, waking up neutrals, or playing with color blocking. Stock up now in case khaki rears its boring head again. 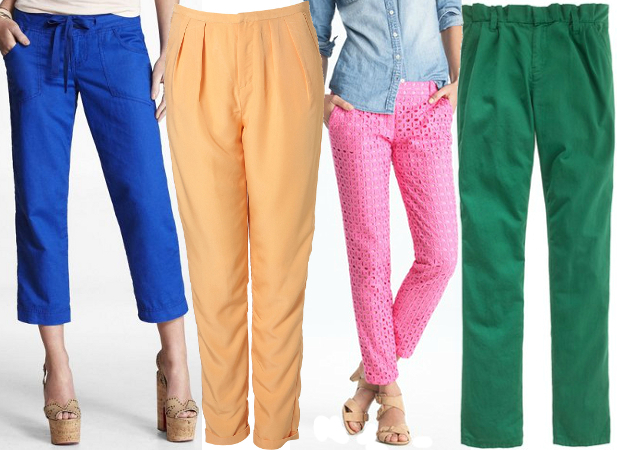 The idea of colored pants is very difficult for me. I'm going to Polyvore, stat. I'll have a post about that on Wednesday! That being said, I'm more comfortable introducing trends in subtle ways so that I don't feel like a big phony.